We skipped out of town on a last minute vacation to Branson, Missouri. What a fun filled place for families! We spent two entire days at Silver Dollar City and my kids now claim it’s their favorite amusement park. 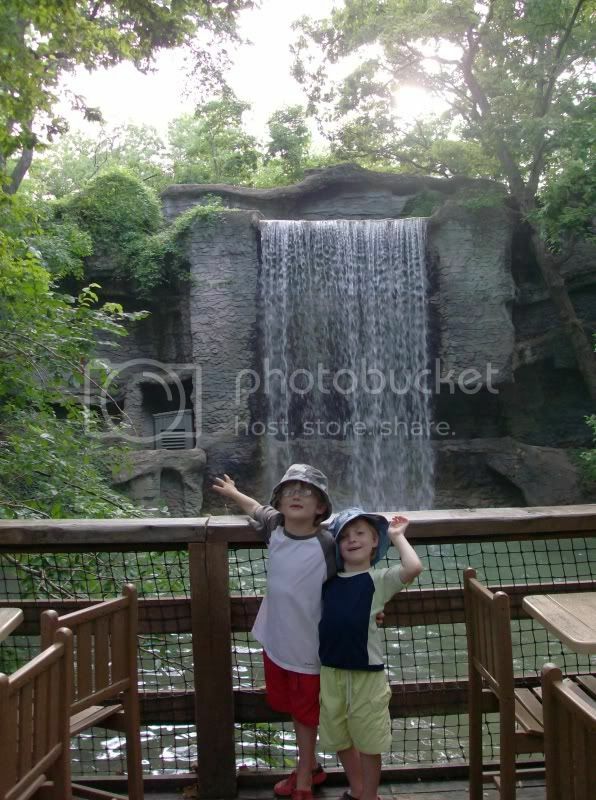 Granted their only other theme park experiences include Adventureland in Des Moines, Noah’s Ark Waterpark in the Wisconsin Dells and Worlds of Fun in Kansas City. Two fun-filled days and the driving wasn’t bad, either. Don and I ate at a restaurant that we would drive out of the way for again called Lambert’s. There are only three in the U.S. You must find them. Soon. Worth every mile. They throw the rolls at you and walk around with huge vats of fried okra (surprisingly fabulous) and potatoes and onions and the like and heap things on your plate while you’re eating. If I ranked my vacations by eating establishments, this would rank tops! Perhaps a tie with the German restaurant we ate at in Hill City, South Dakota. Food is such an important part of my life. I must exercise a whole lot this week!